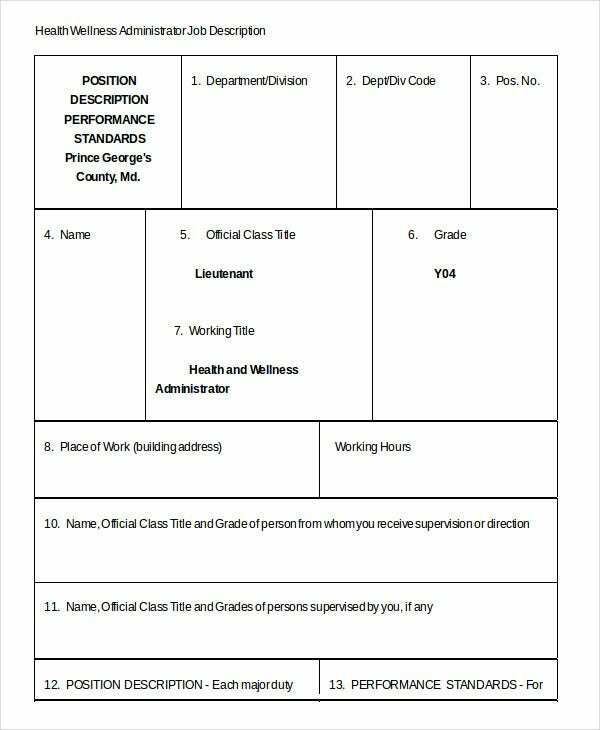 Are you looking forward to posting an advertisement for the vacant post of an office administrator in your company? 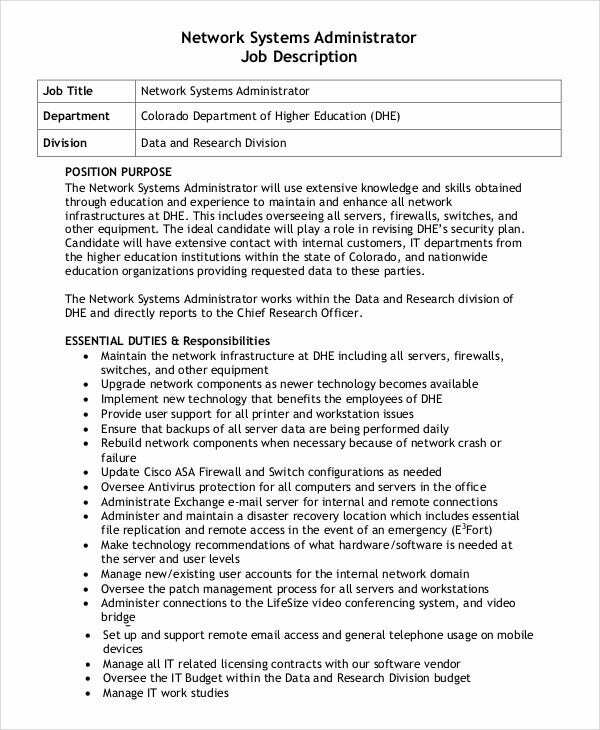 Well, it would be wiser if you enclose the administrator job description along with the advertisement. It would offer the aspiring candidates a fair idea on what skills are required to fit the role and what responsibilities the candidate has to fulfill if hired. Thus, you are more likely to receive relevant resumes only which will ease your recruitment process. You can also see Janitor Job Description Templates. 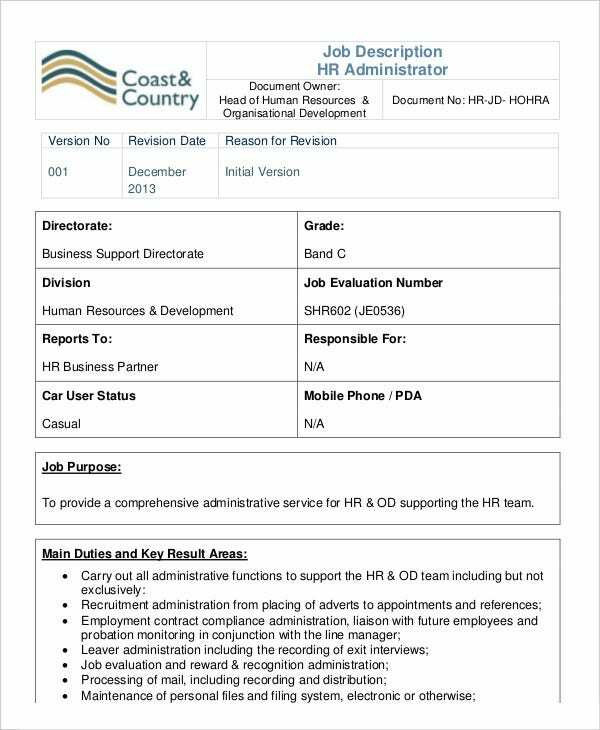 You have a standard HR administrator job description here which includes everything that you find in a proper administrator job description- like job purpose, major duties and key result areas, environment, etc. 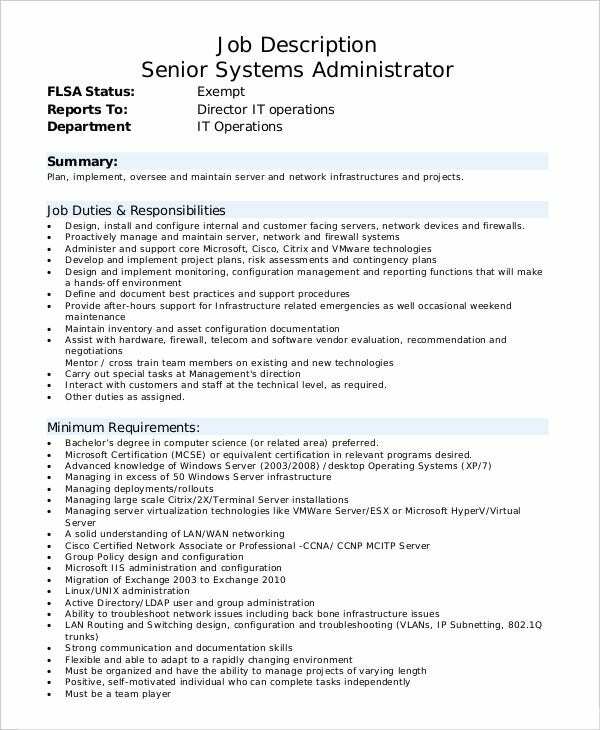 This administrator job description begins with position purpose and then talks about the critical roles to be fulfilled by the candidate. Then, it discusses the key responsibilities to be performed and concludes with the mail id where the resume is to be sent. 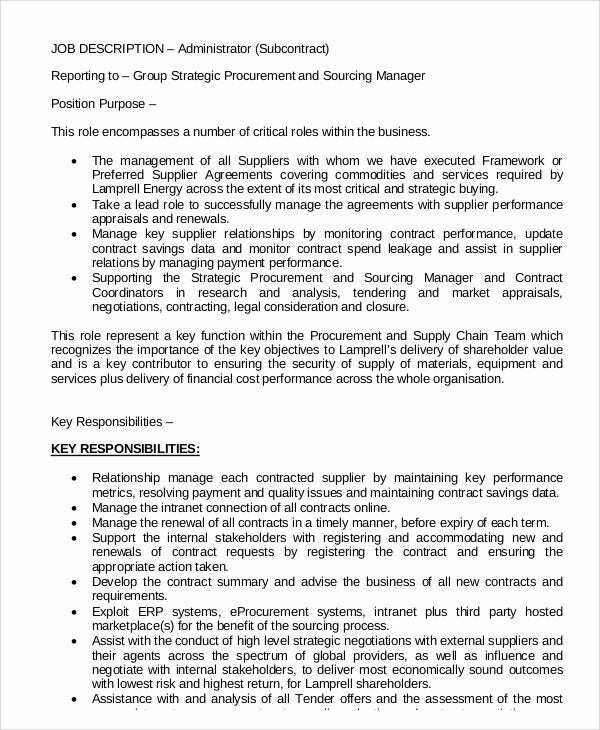 > How to write an Administrator Job Description? 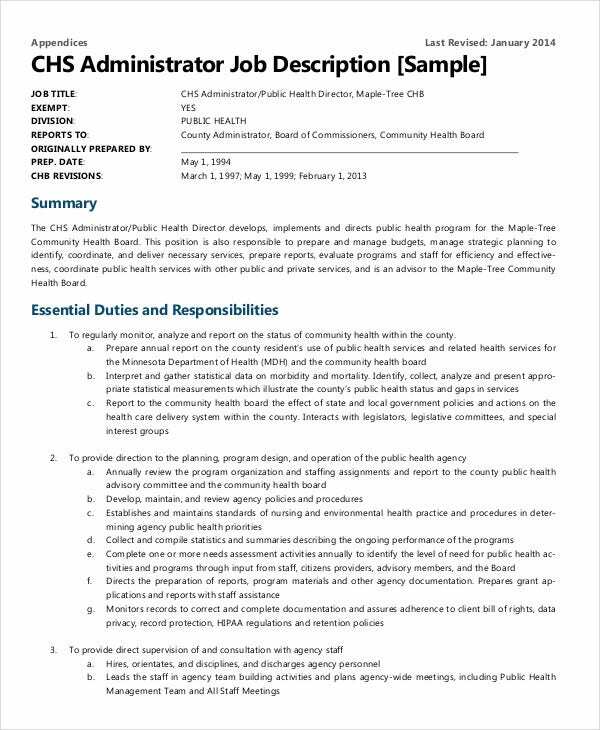 When it comes to writing an administrator job description, it’s better you start the document with a precise mention of the job title, followed by job purpose. The best Job Description Templates also mention whom the candidate should report to when s/he gets the job. Next, as an administrator has to perform a wide range of duties, it would be smarter to go straight to the extensive list of duties and responsibilities the candidate has to maintain. Use bullet points or numbers for a legible view. 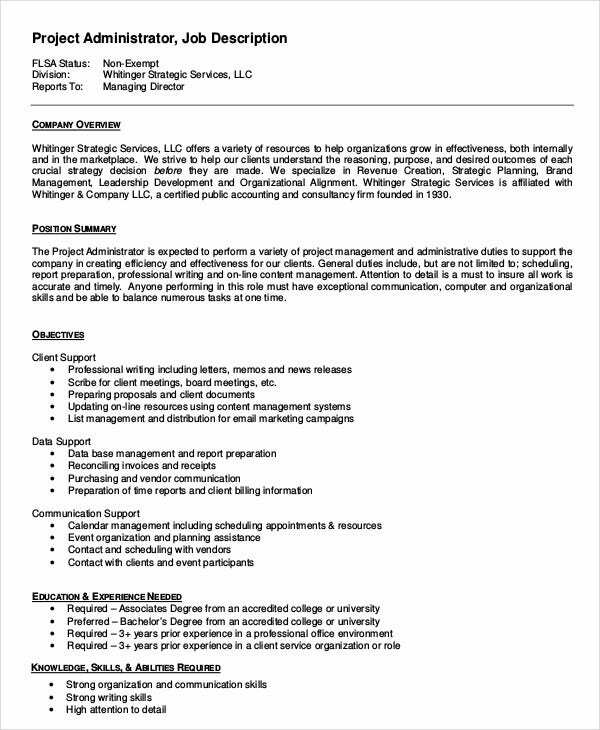 If you have any specifics regarding the educational qualification, set of skills required, etc mention that as well. 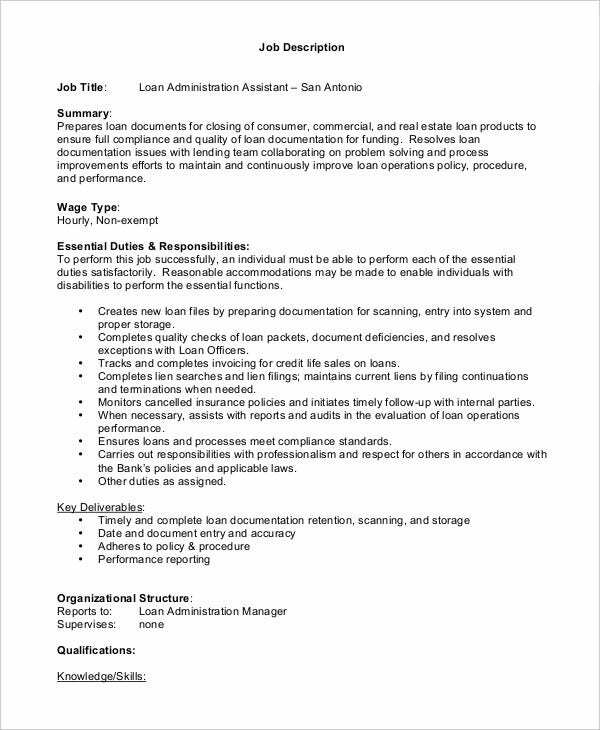 This office administrator job description starts with a job summary and then it goes on to include the wage, the essential duties and responsibilities, the qualifications expected- and it concludes with the list of talents needed for the position. 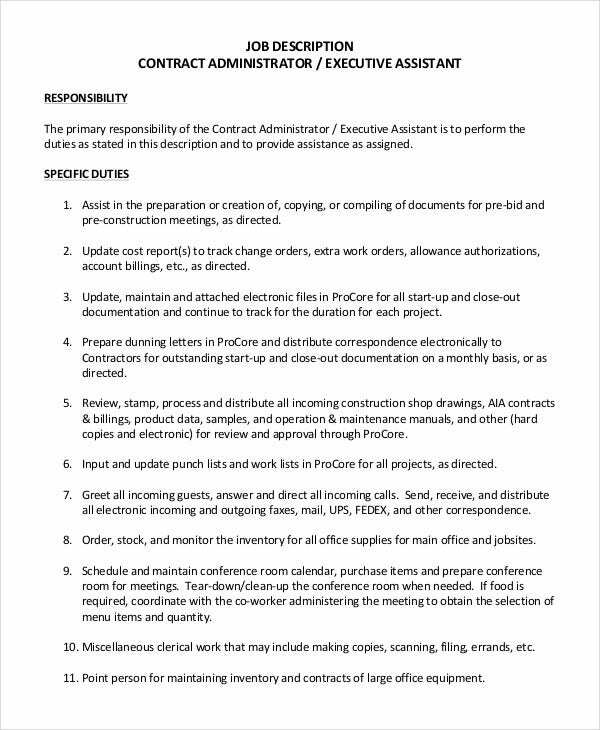 You have an intelligent administrator job description template here which talks straight about the specific duties one has to perform on getting the job and the numbered format assures good legibility. 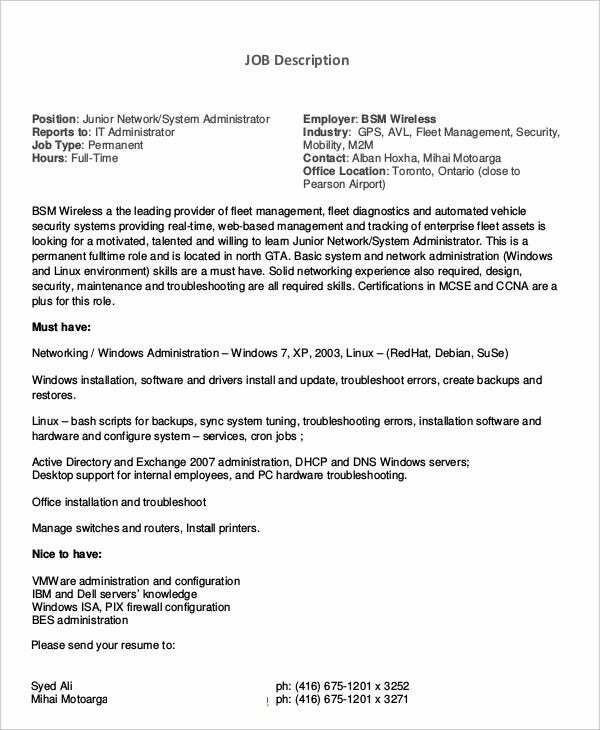 You can also see Office Administrator Job Description Templates. 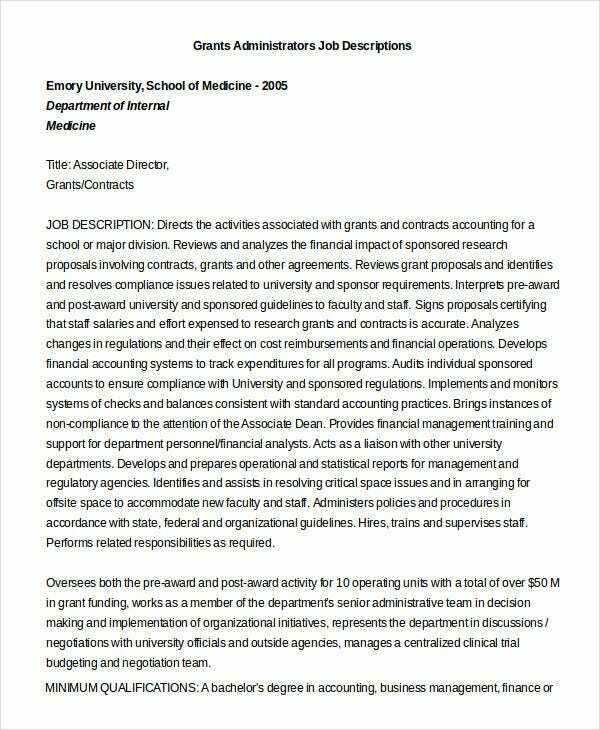 If you are looking for ideas on how to write a grants administrator job description, this template here is all that you need as it offers multiple sets of standard relevant job descriptions – covering all the specifics of such a sample. 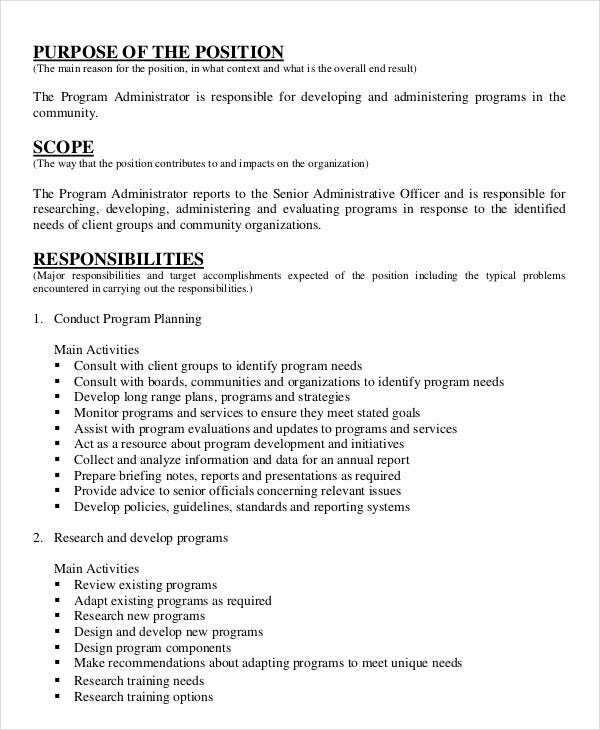 > What are the main duties and skills to include in an Administrator Job Description? 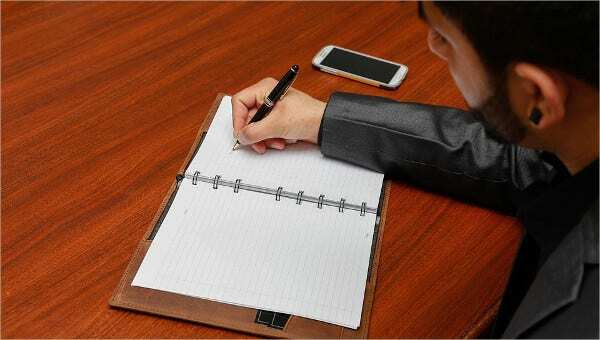 The job of an office administrator is crucial and hence when you are endowed with the responsibility of penning a job description for the designation, there is a certain set of duties and skills that you must include. In regards to the duties, the administrator would have to handle the calls received from clients and maintain the necessary follow-up. He or she has to manage other administrative and clerical staff in the office, deal with internal or external communications as well as organize, arrange, and coordinate meetings. In regards to the skills, strong communication and PR skills, organizational skills, and adaptability are really important. 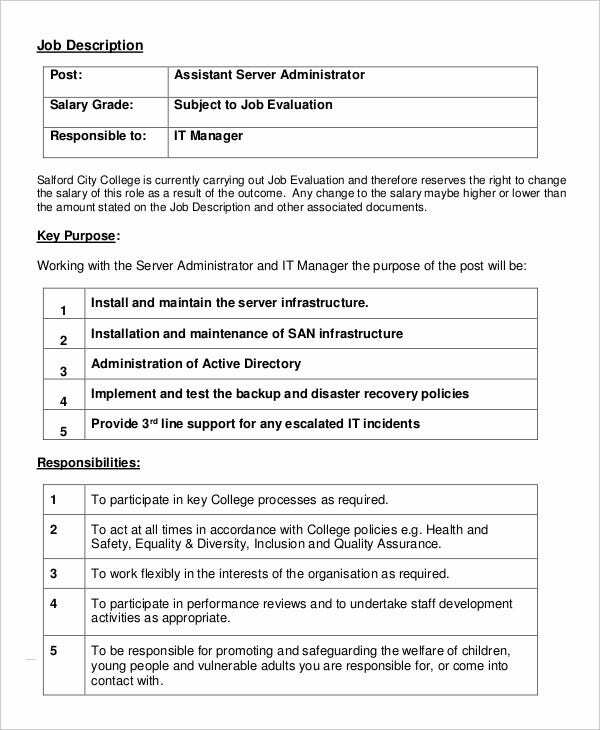 You can also see Maintenance Job Description Templates. 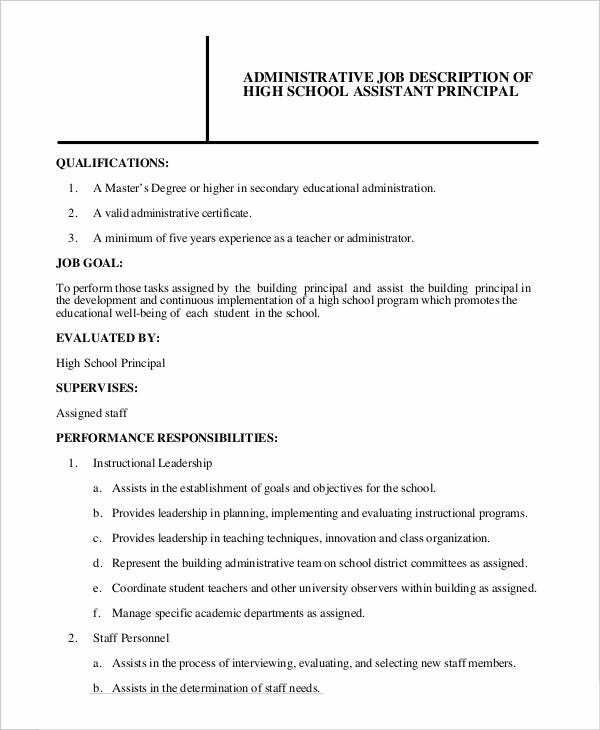 Are you in need of suggestions on drafting an administrator job description? It could be that you are writing such a description for the first time and in such situations, the templates mentioned above are all that you would need. Drafted by experts, they will help you with a standard, readymade, and relevant job description structure so that you don’t have to create the whole thing from scratch.